Replacement:DEV-09873. 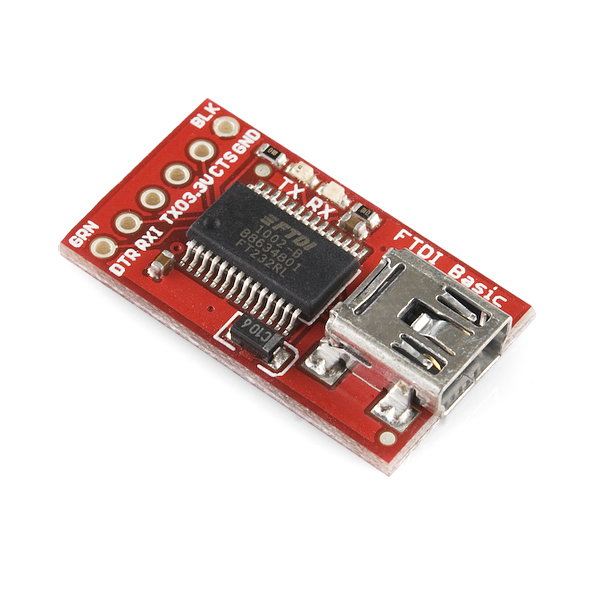 We are no longer carrying the non SMD version of the FTDI basic. This page is for reference only. 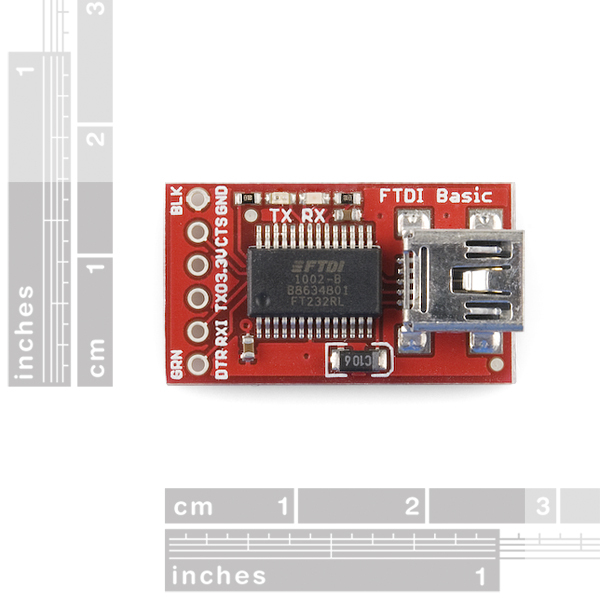 This version of the FTDI basic breakout does not have right-angle headers. Note: We found these in inventory and they work fine but we're no longer making them. We'll be selling them at a discount for a limited time but when they're gone, they're gone! I noticed this has the pads on the bottom like the 5V does, does that mean one could cut the 3V3 connection and solder the other two pads together to get 5V? I prefer this FTDI breakout, since it allows for male headers on the "programming tool". 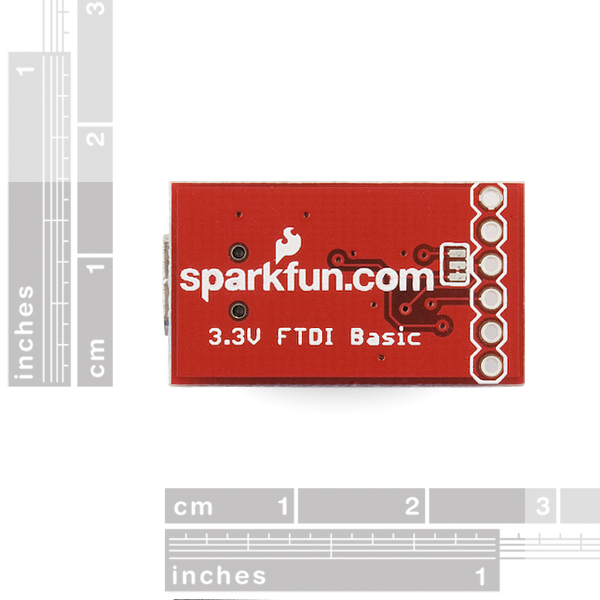 The "standard" female-header FTDI implies that the target board should have a male header. I would much prefer to have female connections on the target, since they are enclosed. That leads to fewer accidental shorts and less snagging in the application being created. 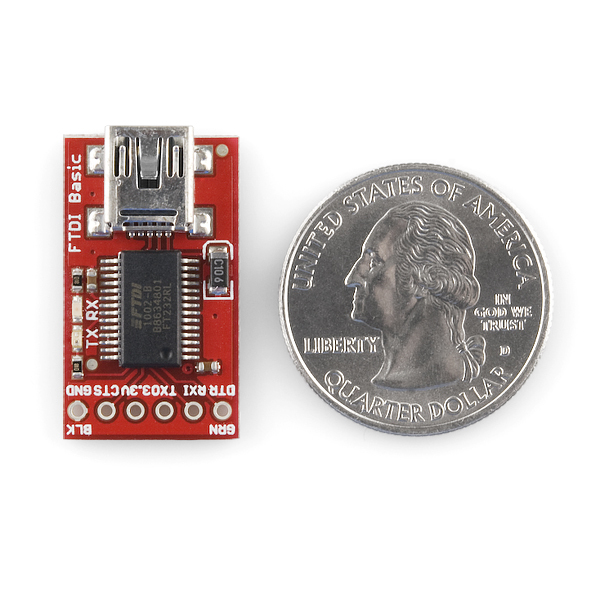 "We now use a SMD 6-pin header on the bottom, which makes it smaller and more compact." i.e. this one is headerless and the other one has an SMD right-angle header.